Discopop Directory: Chance The Rapper x Kaytranada = 🔥? 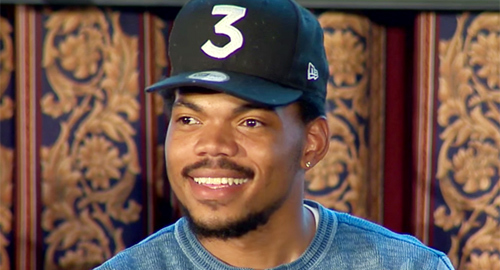 Last September, Chance The Rapper told fans that he'd given his track They Say to Kaytranada for a tweak and a pinch, after which it'd be ready for release. That release, he said, was coming "soon". This was news to Kaytranada who posted the following message to Twitter, presumably after being deluged with messages about the song. Well, just eight short months later, the Canadian producer has finally gotten around to finishing whatever it was he was doing to the song - and it has premiered on Pharrell's OTHERtone program on Beats 1 Radio. Was it worth the wait? Put it this way, you can see why it was left off the tracklisting for Chance's Grammy-nominated mixtape, Coloring Book. The central lyric is: "What they say? They say 'ner, ner, ner, n-ner, ner, ner, ne, ner.'" (although there's a great bit about cursing "like a chimney" in the verse). Still, it's a slick, summery production with, in typical Chance fashion, a gospel choir towards the end. Back when singles had b-sides, this would have been hailed as a great b-side. Now, it's just another track that's appeared on the internet for some reason. You can listen to a radio rip below, because 2017.